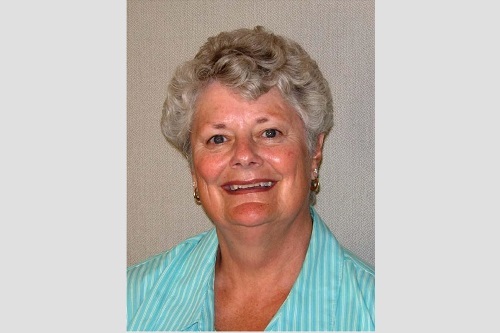 Glen Oaks Community College Board of Trustees on June 8 appointed Nancy Percival, a Colon township resident, to complete the term to 2014 of David Locey. Mr. Locey resigned in May following many years of dedicated service as a Trustee. Percival said she values education and looks forward to serving on the board. She earned a Bachelor of Science degree from Michigan State University in Police Administration and a Master’s degree in Counseling from Western Michigan University. Serving on the Glen Oaks Board of Trustees is like coming home for Percival. She worked part-time as a JTPA Coordinator and performed marketing duties for the college in the 1980s and both of her daughters graduated from Glen Oaks. Percival worked for the Kalamazoo Regional Educational Service Agency at Michigan Works! from 1987-2004, serving as supervisor beginning in 1993. She served on the Colon School Board from 1984 to 1988. Other activities have included being a Colon Township Trustee for 23 years, Colon Village Council since 2000, Economic Development Board since 1997, Community Action Board of South Central Michigan since 2007 (currently Secretary), Walk for Warmth since 1990 and member of the Colon Caring Food Kitchen Board.